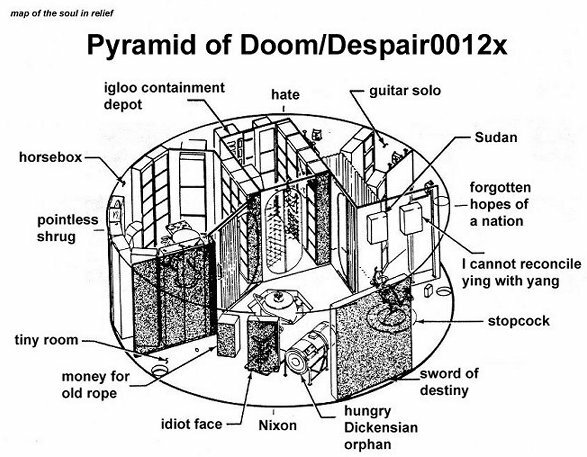 The pyramid of doom was constructed in 1517 by the narcoleptic Pharaoh. He built it all himself, mainly on the weekends, when the missus was off in town shopping. He was a bit of a failure, really.